Residence Thibaud i Toulouse, Frankrig: Reservér nu! 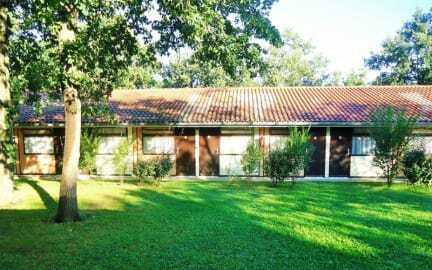 The property is located slightly outside the city of Toulouse. From the residence, you can reach the city center with buses and subway: it takes between 30 and 45 minutes. It is much more convenient with a bicycle or a car because the buses do not run after 20:30.
if you have a car, you reach the city center in 15 or 20 minutes. 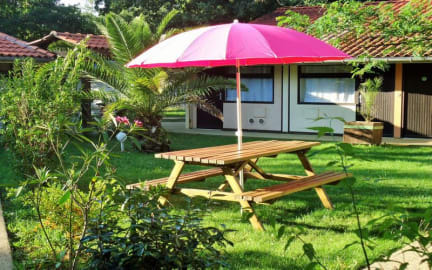 All our rooms and studios are in a garden, very pleasant in spring and summer. At the reception, we provide a lot of practical and tourist information. We also have adresses for good places to eat nearby.